All types of SME – from start-ups and sole traders, to more established companies – can access SABRE's assistance, either through attending free workshops, or by applying to receive free or subsidised technical support. Located in BRL's RIFBristol innovation facility, which has a successful track-record of delivering industrial research and consultancy projects since its formation in 2013, SABRE will utilise a range of cutting-edge technical equipment and leading engineering expertise. For SMEs researching and innovating new products or services, SABRE's Technical Development Projects (TDPs) offer more in-depth support, facilitating collaborations with talented engineers and helping them to develop, prototype, test and validate concepts. 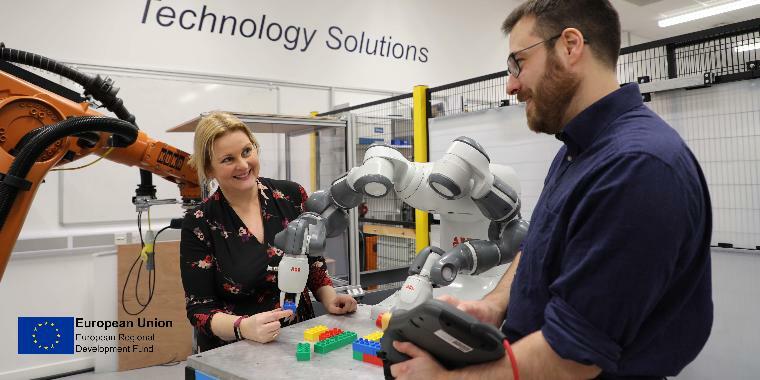 Robotics and automation already have an essential role to play in the UK's innovation landscape, and are becoming increasing important to SMEs in sectors not traditionally associated with industrial hardware. The SABRE Programme is part-financed through the European Regional Development Fund (ERDF). It forms part of UWE Bristol's portfolio of ERDF-funded initiatives, which incorporates the Launch Space graduate start-up incubator, the Health Tech Hub innovation facility, the Scale Up 4 Growth project and the Network for Creative Enterprise.